Please join Sunday Assembly Los Angeles as we attend a public lighting ceremony at West Hollywood City Hall. 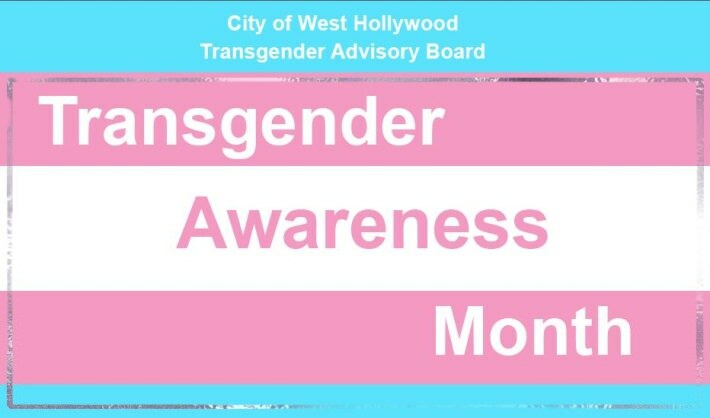 Hosted by the city's Transgender Advisory Board and City Council, WeHo City Hall will be lit aglow in blue, pink, and white lights in observance of Transgender Awareness Month. A dessert reception will follow in the back of City Hall. Special lighting will continue through the end of November. Free street, paid metered, and paid garage parking is available, although many residential streets are permit-only at 7pm - watch for signs before you park. Thank you, and see you there!